Queensland Telecommunications Museum - The Telephone. 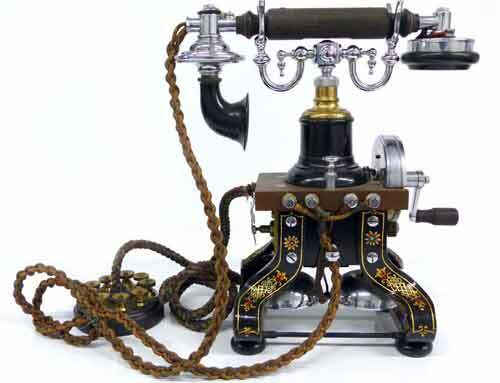 Very early table handset hones of British/U.S.A and Swedish origin. Note the magnets in the legs for the signalling magneto. The Morse code telegraph had been in use for over 30 years and spread virtually world wide by the time Alexander Graham Bell made his first successful voice transmission in 1876. The first telephones were rather crude. There was just one device at each end of the line. It was held in front of the mouth when speaking and held to the ear to hear the reply. Later somebody got the idea of a second instrument, one for the mouth and one for the ear. At this stage however, there were no telephone exchanges. Some of the earlier experiments temporarily used telegraph lines, but it was discovered there was a limit to just how far a voice would travel. 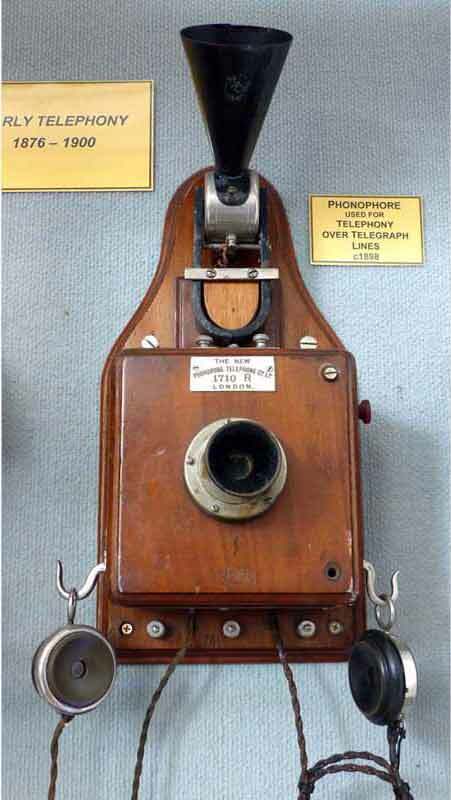 These first telephones were simply operated between two points. 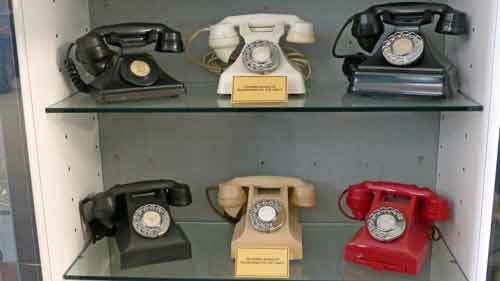 Australia's first phone exchange was in Melbourne in 1880, and other States quickly followed. 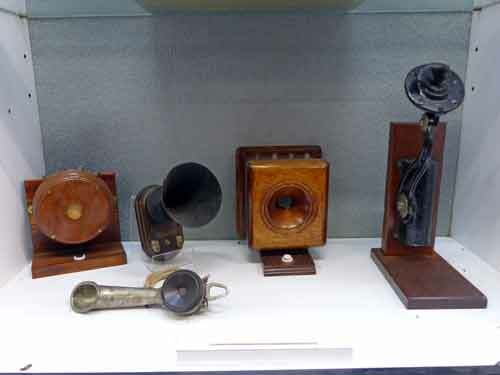 A collection of World War 2 field Telephones and other apparatus. This 'Phonophore' was a curious device which allowed telephone contact over an existing telegraph circuit. Pedestal telephone, wall mounted on a "scissors" extender. Used in some very busy offices such as newspaper publishers. 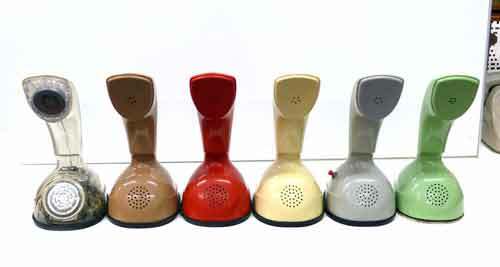 A collection of 1930's vintage table handsets with “Bakelite” cases. 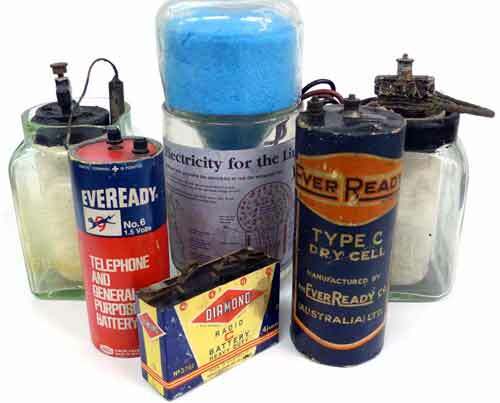 A selection of very early batteries used in telegraph and telephone circuits. Replica of Bells original practical telephone receiver 1887. 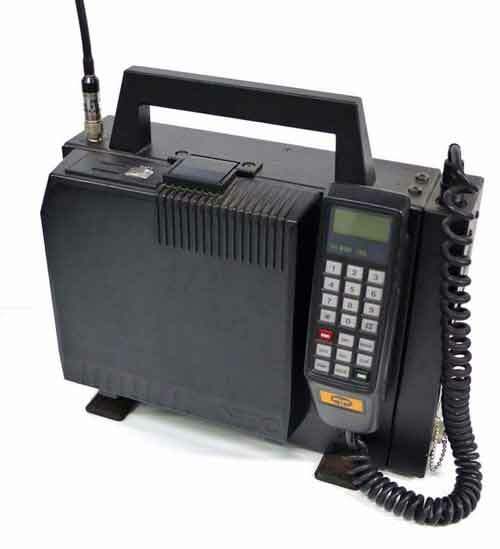 Also used as a transmitter. 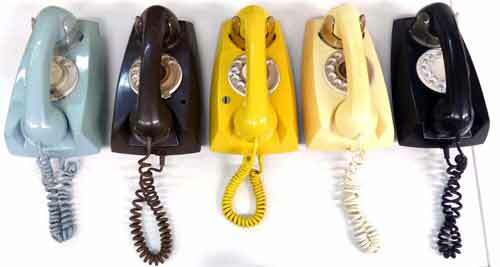 Coloured Wall phones with rotary dials. Now using plastic cases. 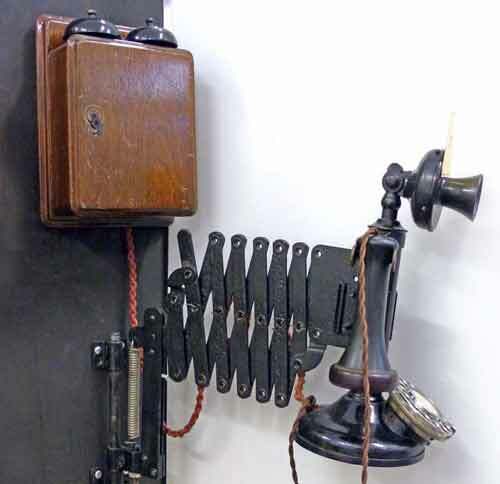 Very early handset phone of British/USA and Swedish origin. Note the magnets on the legs for signalling magneto. At a massive 15Kg! no camera included. The first of the mobile phone revolution, late 1970’s. 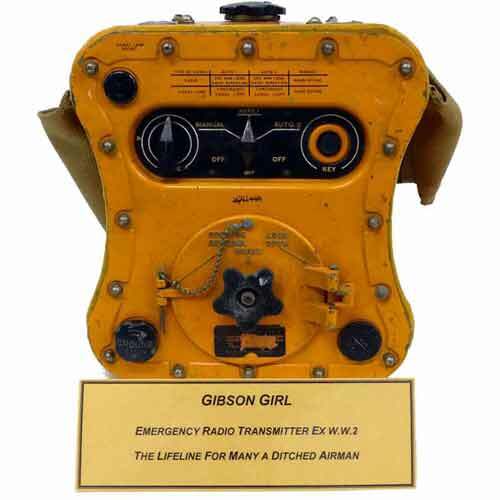 This unit measured 35cm W x 15cm D x 32cm H.
Gibson Girl was the affectionate name given to an emergency radio transmitter used during the 2nd World War to enable downed airmen to send distress signals on 500kc, an International distress frequency at the time. Modern Handset Telephones. 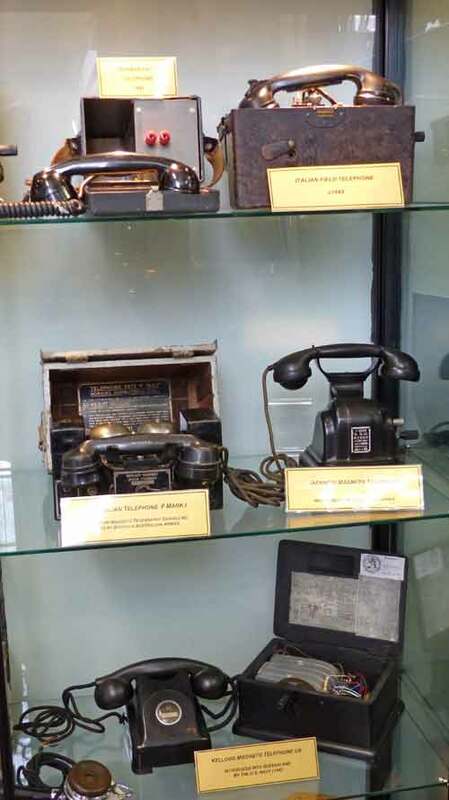 These are a selection of telephones that were issued with a telephone plan of the day, unlike today when one must purchase their own handset. Swedish Ericsson “Ericofons”. The rotary dial is in the base. This was a novelty phone and was popular for many years. 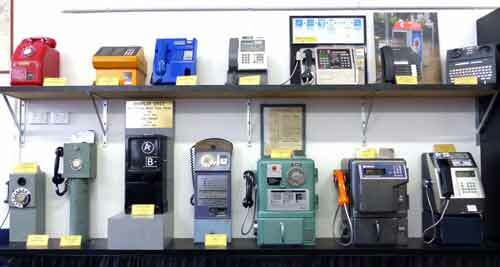 A range of Automatic Public Telephones, (coin operated). 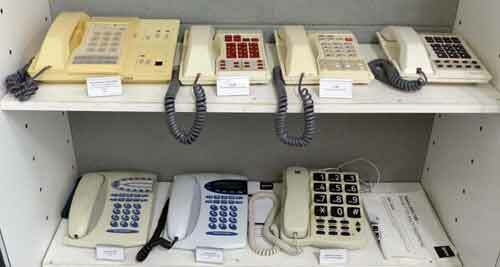 Some on the top row are leased multi-coin phones used in hotels, motels etc. and some are special assist phones. 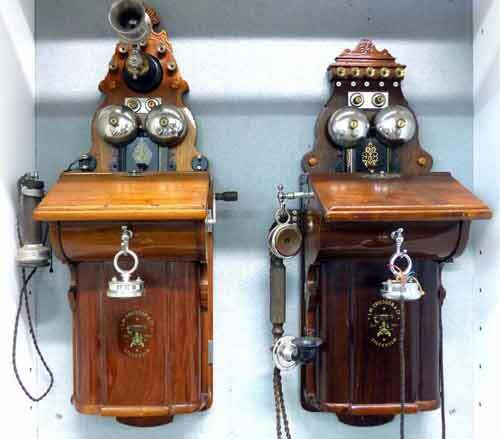 Original Swedish Ericsson wall-phones. Signalling the exchange was by turning the handle on the right. Power for the transmitter was supplied by two large dry cells housed in the lower body. Whilst the earpiece was apparently little changed from earliest times to recent times, a lot of experimenting took place to develop the microphone.